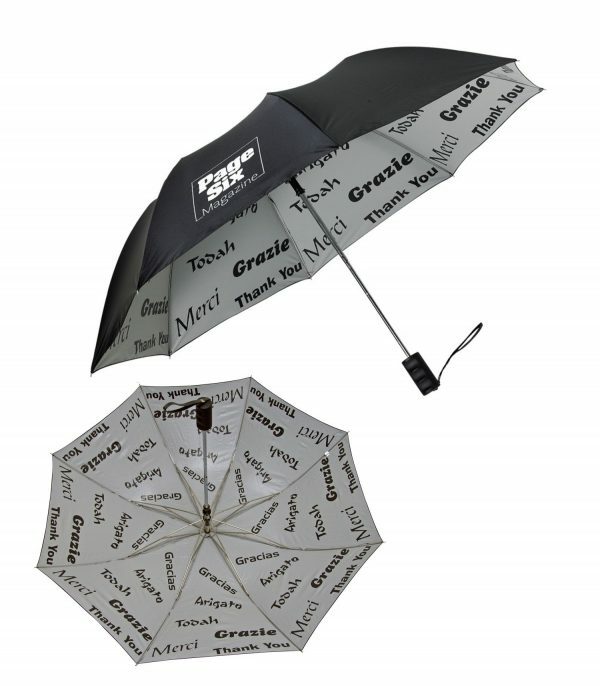 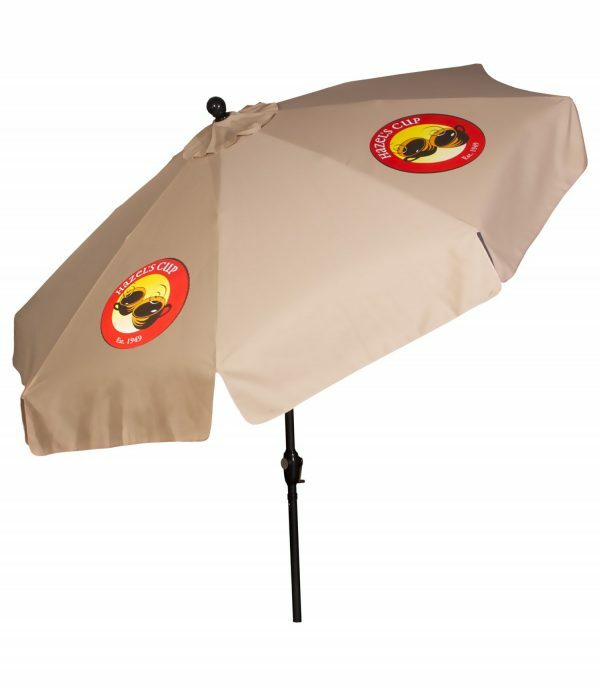 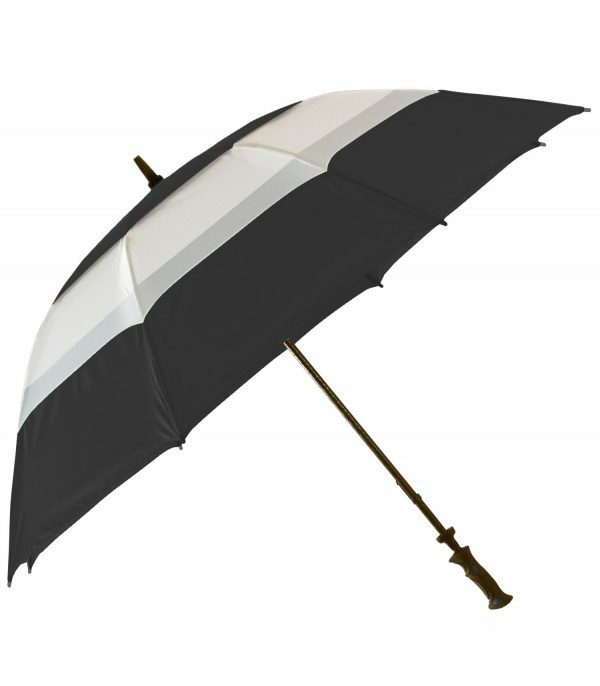 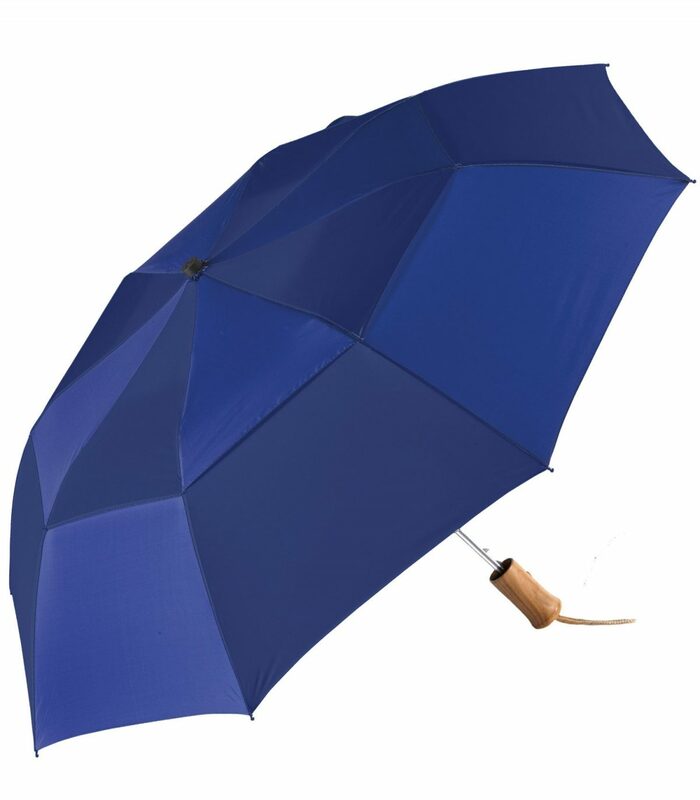 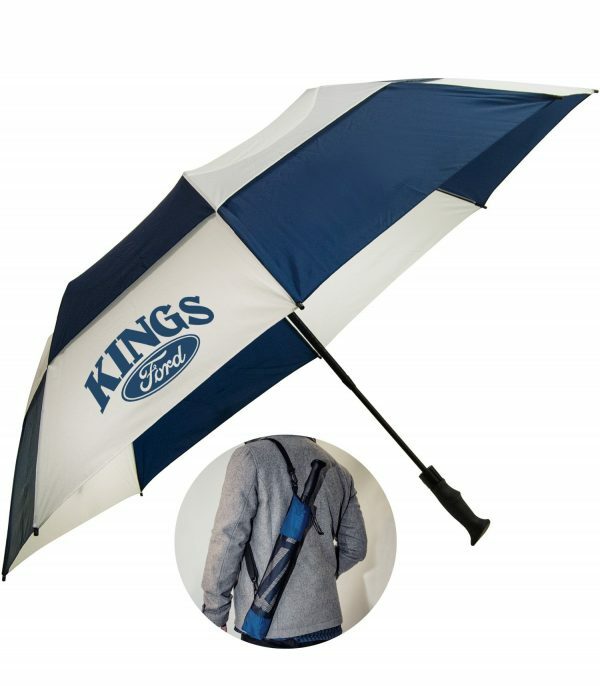 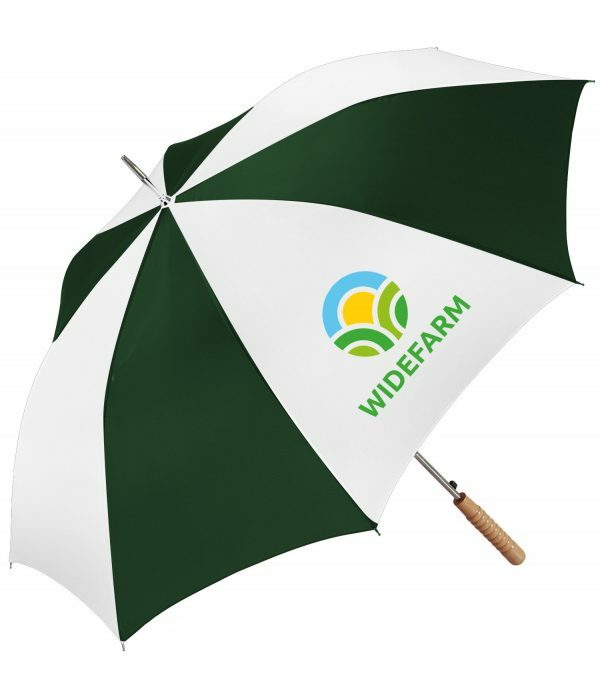 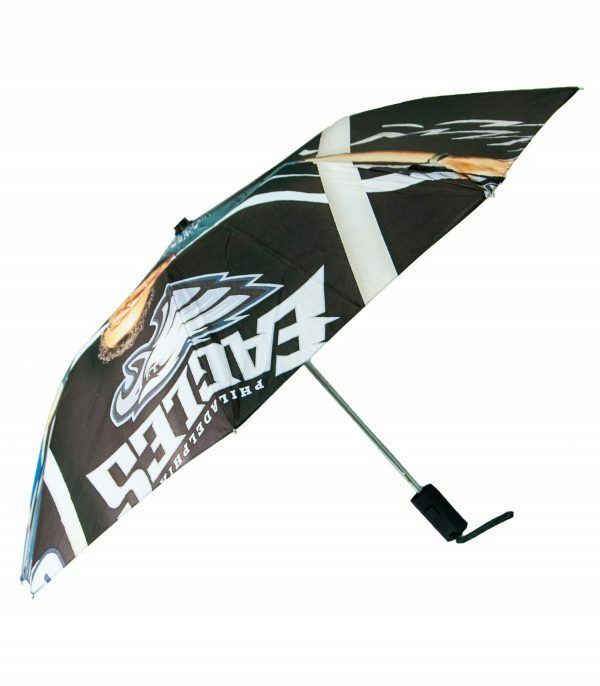 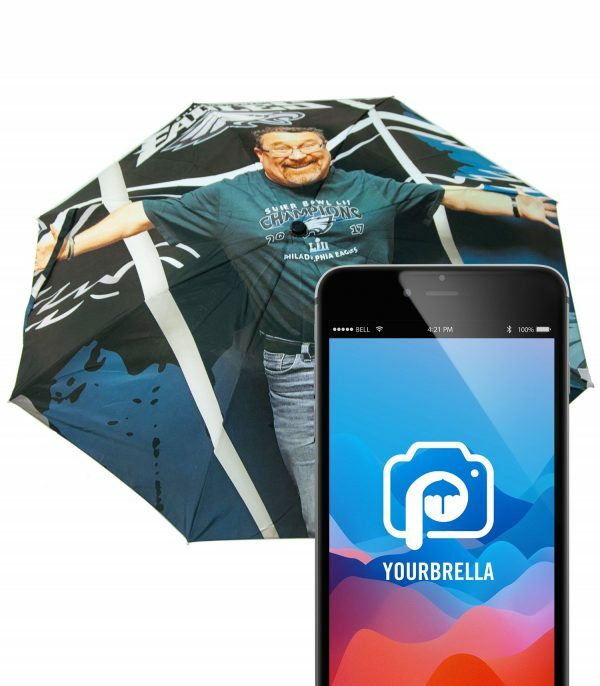 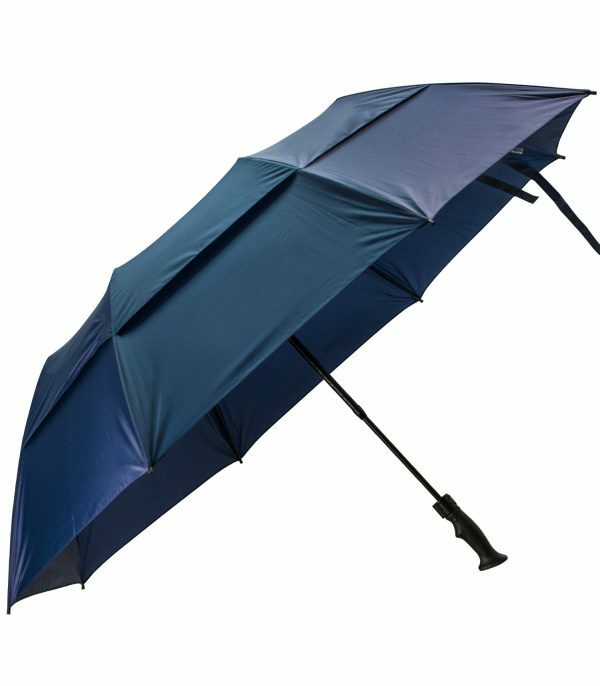 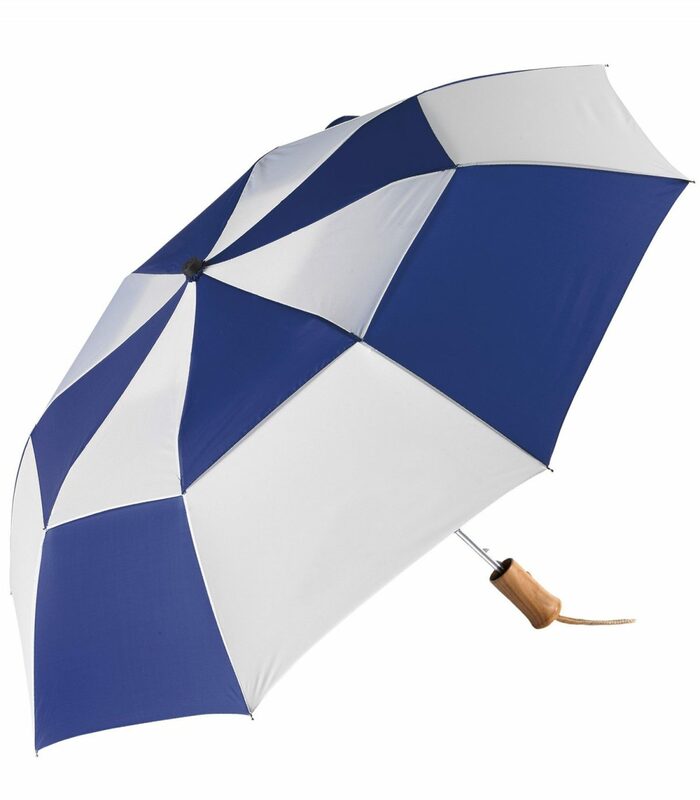 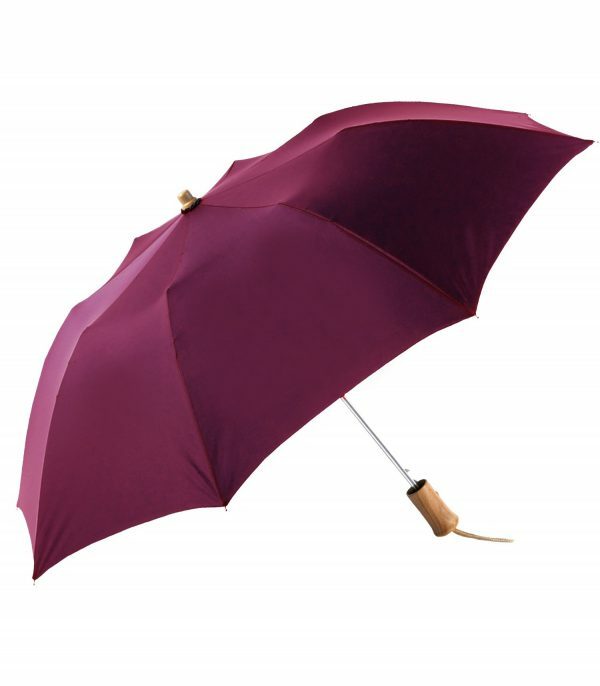 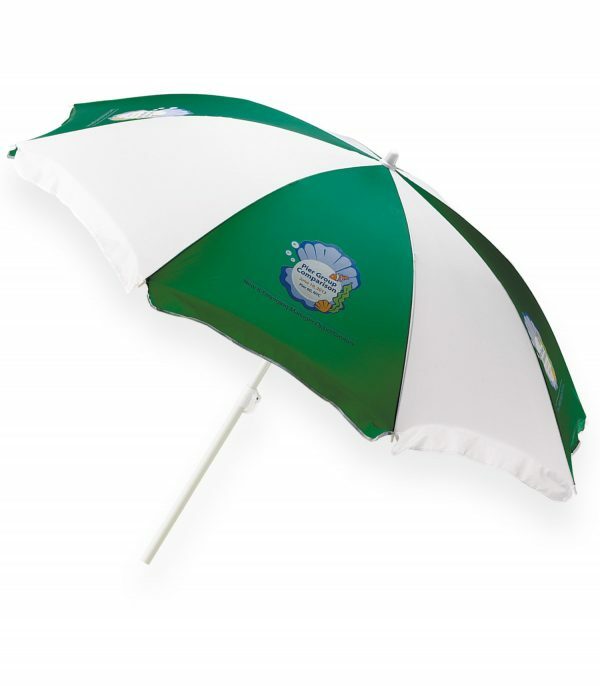 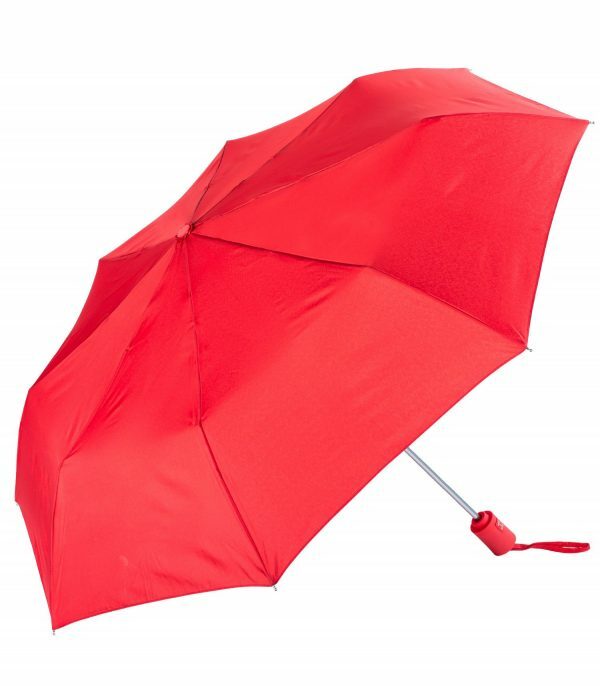 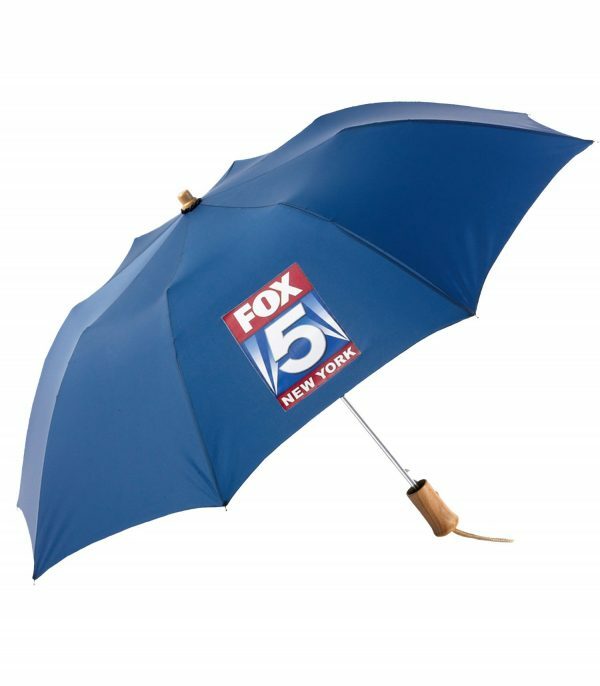 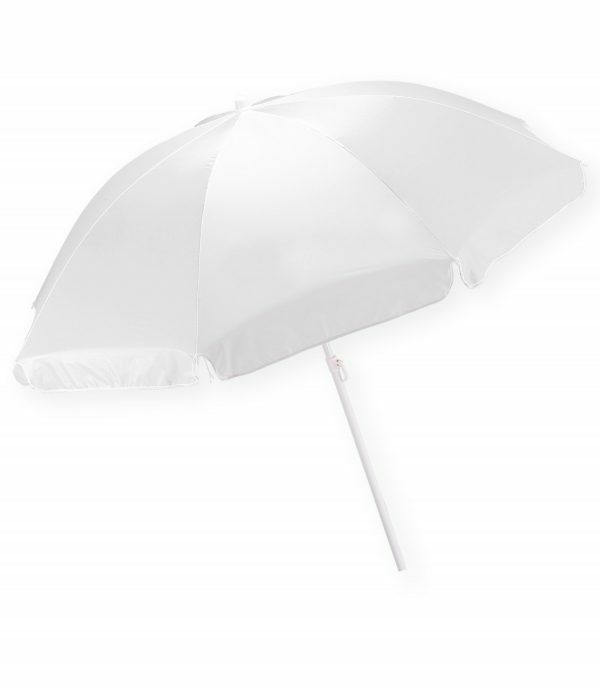 43″ arc vented folding umbrella with wood handle. 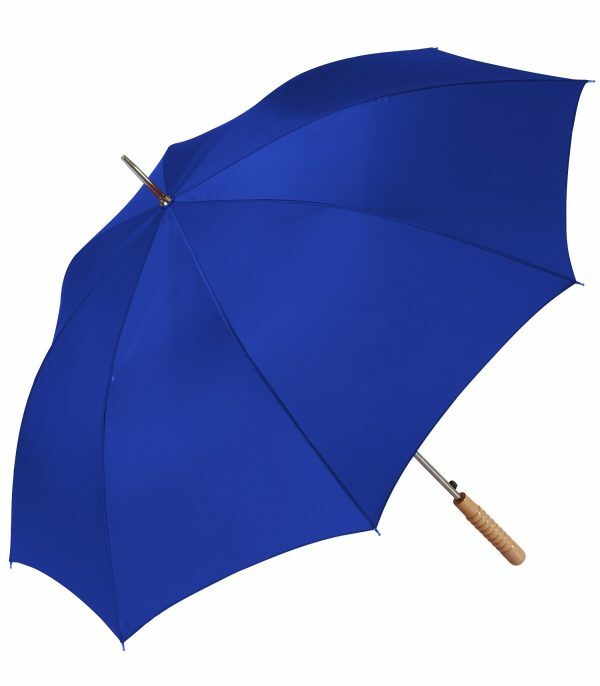 Durable on a windy day. 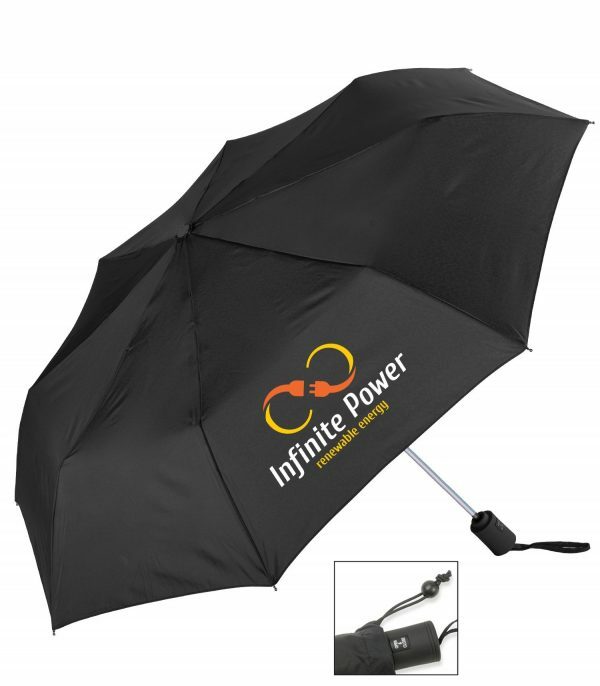 Comes with a matching nylon sleeve.